Be still my heart! I'm having a love affair with all things spotted. There's just something so chic with classic black and white in polka dot form. 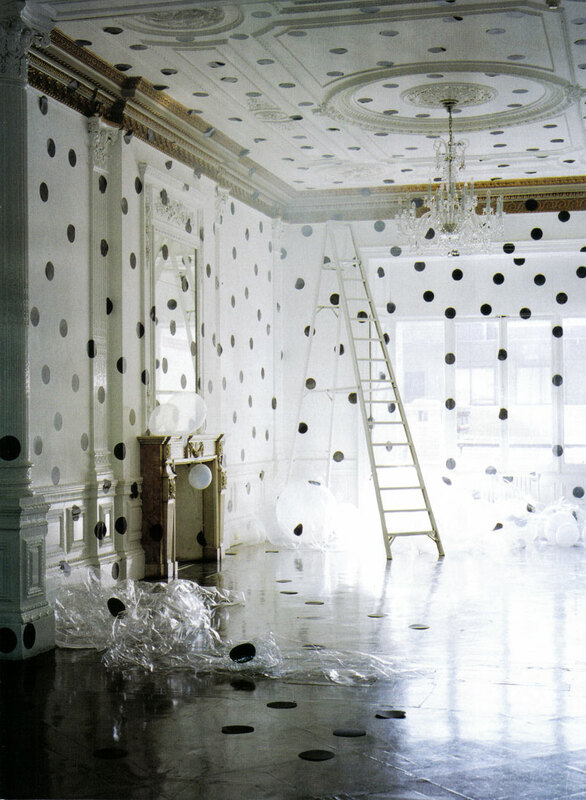 Now there's been spotted wedding invitations, wedding dresses and wedding cakes, but how about a spotted room? Like the one seen here, complete with big over sized polka dots and chandelier - because a girl can never have too many chandeliers! Images via Stella McCartney and Coute Que Coute by Tim Walker. That room is mad! Would be great for a themed wedding though.